Ink is not drying on any contracts, as yet, but Beasts could safely be counted among Netflix’s properties if one were taking stock. The deal which was screened quietly and shopped with several bids coming in but Netflix is in the $12 million neighborhood on their offer which will give them worldwide rights. This will, of course, be destined for their global streaming service but will have a theatrical component added to the deal as well. It should come as no surprise to anyone next year when this film receives one hell of a push come Oscar season. 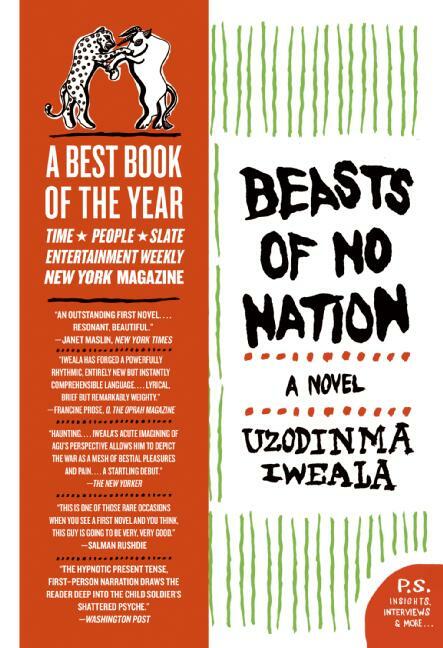 ‘True Detective‘ director Cary Fukunaga is taking the driver’s seat on Beasts as well as writing the script based on a novel by Uzodinma Iweala. Incidentally Fukunaga’s name is also the name attached to the announced ‘It‘ re-boot of Stephen King’s famously horrific novel that saw mini-series success and is now seeking feature film treatment. Beasts tells the experiences of a child soldier fighting in a civil war in an African country. He begins as a child and grows up quickly after the horrors he’s forced to endure to survive. He struggles with the duality he feels in his heart towards what he wanted for his life and what his life has become. He desperately wonders if there’s a way to end his fighting while keeping his life. Idris Elba stars as a warlord who takes in the child and systematically strips away his humanity. This entry was posted on Tuesday, March 3rd, 2015 at 12:46 am	and is filed under Books, Film, News. You can follow any responses to this entry through the RSS 2.0 feed. You can skip to the end and leave a response. Pinging is currently not allowed. « Spider-Man Rumors Regarding Next Film, Director and Actors Attached!! !